Plan to Attend our NAWOSB Jacksonville Chapter Business BRUNCH. National Association of Women Owned Small Businesses, Inc. (NAWOSB) is a business membership based organization focused on educating women owned and other small businesses how to become Contractors, Suppliers and Vendors to Corporations, Colleges/Universities and Government agencies. Strategic Alliances and much more! Not a Member...Join us NOW and attend this Brunch at no additional cost. 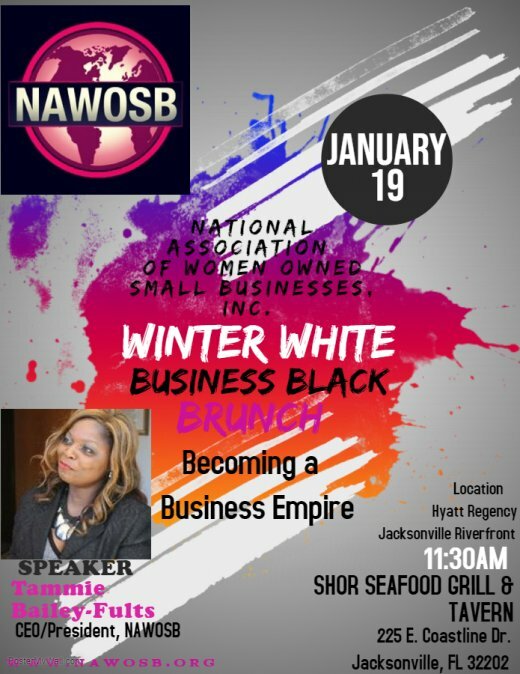 Plan to attend our Business Brunch on Saturday-January 19, 2019 we would love to meet you, learn about your business and assist/support your 2019 goals.